Katyayani is the sixth amongst the nine forms of the Hindu goddess Parvati or Shakti, worshipped during the Navratri celebrations. It is said that young marriageable daughters or gopis in Gokul worshipped Goddess Katyayani to get Lord Krishna as their husband. Here’s how I was blessed with a God-like husband too! I never wanted to get married, since I had no intention of sacrificing my job for marriage’s sake. ‘Marriages are decided in heaven!’ So was mine. I was almost 31. Someone brought the proposal from J.P.’s family. Even loads of pleas and prayers didn’t stop this marriage. Literally angry with this relationship, I hadn’t even seen his photograph. At the podium where we were to do ‘mala bodol’ (exchange garlands) I raised my eyes and saw J.P. for the very first time. He was more than 6 feet tall, a fair and handsome man in his 40s, whereas I was a 5-foot fair skinned, short-tempered woman, and my hands hardly reached his shoulders. He lowered his neck for me to reach him. I whispered in his ears, “Why did you choose me?” J.P. whispered, “Because your eyes reflect your clean heart.” Taken aback by J.P.’s answer, I assumed he was a flirty fellow, even though I was flattered by his gentle behaviour. Tears rolled down from my eyes. Among all the harsh words from the surroundings, J.P. was my oasis. We both went through all the tests. I was diagnosed with endometriosis. It was 1983. In Assam then, there was no advanced treatment for this. My gynaecologist said that since I was in my 30s, treatment for this might lead to infertility. Totally devastated, J.P.’s family started thinking about a second marriage for him. I was breaking up inside and eventually developed depression. We went to Calcutta for advanced treatment. At Calcutta, after going through critical surgery and medication for two years, I conceived. But 3 months later I miscarried. This left me shattered and plunged me into depression once again. I began blaming myself for the miscarriage. Anxiety heaved in my thoughts, “I might have a miscarriage every time I conceive,” but my oasis tried to soothe me always. Cuddling me like a child J.P. said, “You need not be sorry for anything. It’s all in the hands of the Big Power above us. He has better plans for us both. You complete me more than anything, but seeing your pain I am scared. So we both need to be healed. Should we get healed?” Still sobbing I nodded ‘ yes’ to J.P.’s healing proposal. We went for counselling to relieve me of my depression and anxiety. J.P. did not miss a single session. After a couple of years of counselling I recovered from my depression. 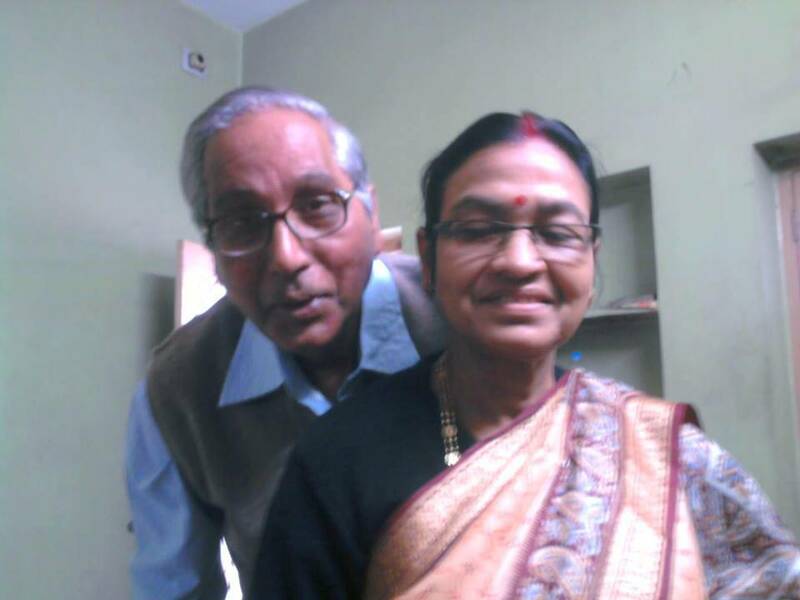 It has been 38 years since we got married, and my oasis stays strong beside me, relieving me of all my anxieties, from the birth of my beautiful children Joyee and Jeet after painful years of mental struggle, to my menopause. He understands me better than anyone and completes me in every aspect. He is my mentor, my best friend and in every sense my better half.